Sonakshi Sinha will star as a journalist in the Bollywood adaptation of Pakistani novel, Karachi, You're Killing Me!. Sonakshi Sinha will star as a journalist in the Bollywood adaptation of Pakistani novel, Karachi, You’re Killing Me!. Actress Sonakshi Sinha will star as a journalist in the Bollywood adaptation of Pakistani novel, “Karachi, You’re Killing Me!”. The 2014 comedy crime-thriller novel by journalist-writer Saba Imtiaz, centres around a 20-year-old reporter Ayesha Khan, living in Karachi, and her misadventures and finding a nice lover. The movie has been titled “Noor”. 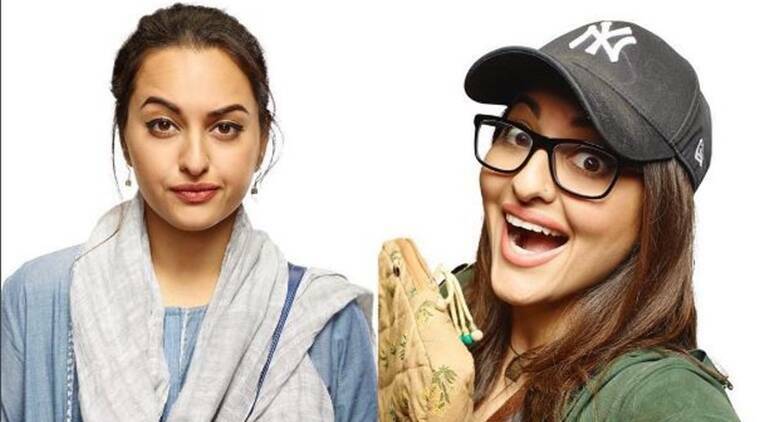 Saba took to Twitter to express her happiness over the adaptation and also posted Sonakshi’s various looks from the movie. “@sonakshisinha is in the adaptation of Karachi, You’re Killing Me! and her journo face raised eyebrow IS ON POINT,” Saba tweeted. While the first look shows her dressed in a salwar kameez and in the other one, she is sporting a white tee with a cap. The film is being produced by Bhushan Kumar and Vikram Malhotra.